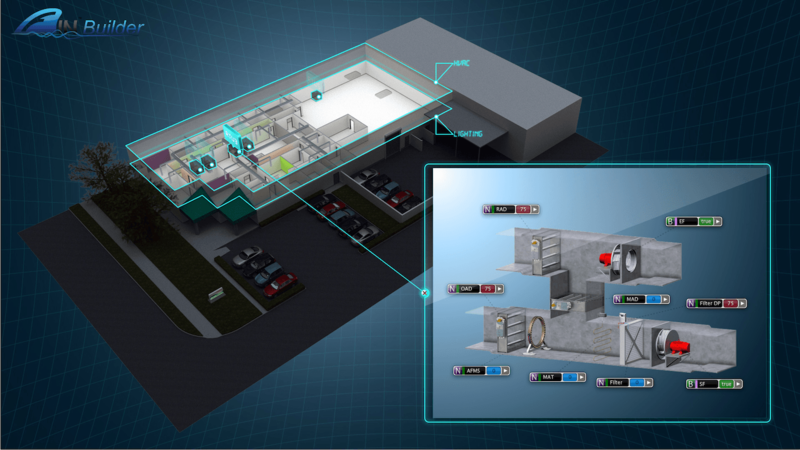 I need an enterprise building automation system that runs my facility efficiently by executing intelligent decisions and energy management strategies. The system must support current open standards and be able to easily transition to future standards as well as include IoT deployments. 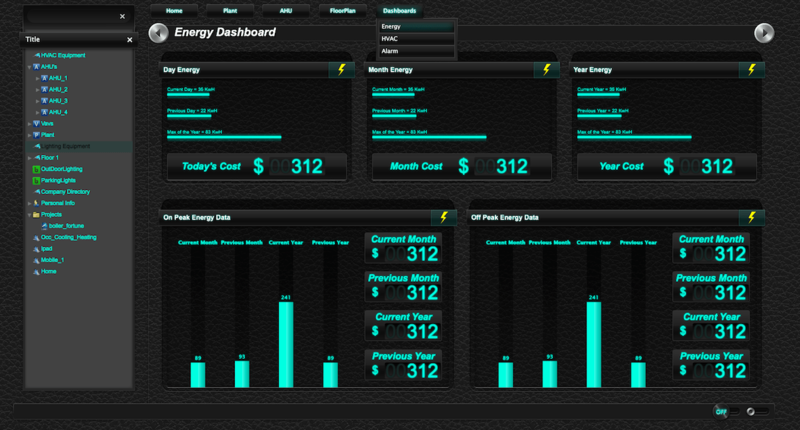 I want to clearly show what is important and promote energy awareness through easy-to-use interfaces for desktops, mobile devices, and kiosks. 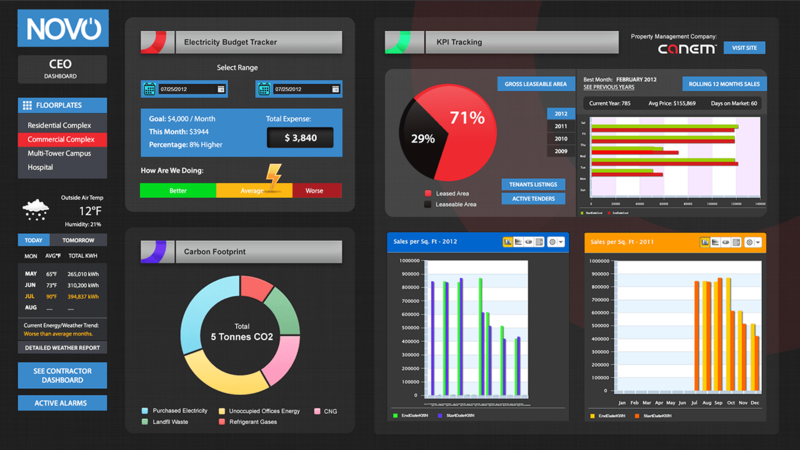 J2 Innovations created the FIN Framework software to help solve a big problem in buildings - how to collect, manage and integrate data from multiple systems to enable you to optimise the way the building performs for its occupants, in terms of comfort, productivity, energy efficiency and sustainability. 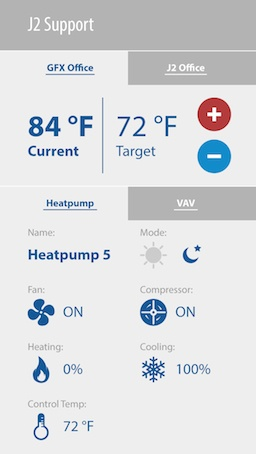 FIN combines the core functionality of a Building Automation System (BAS) which connects and controls the HVAC, lighting and other equipment, with the added benefits of a Building Operating System (BOS) to manage, visualize and leverage the resulting data. FIN technology uses tagging and data modeling to provide unprecedented capabilities and functionally. 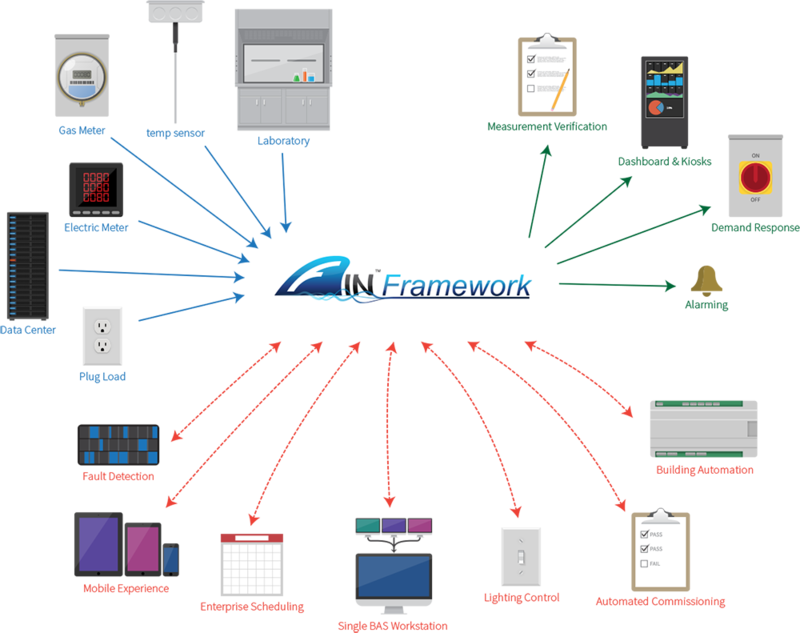 FIN not only enables easy creation of dashboards but also offers advanced analytics to help diagnose maintenance issues and optimise building operational performance. Built on the Haystack open standard using FIN also opens up your choices; enabling use of the best combination of solutions from the wider collaborative Haystack community. FIN 4.5 has a built in tagging model that is Haystack ready. 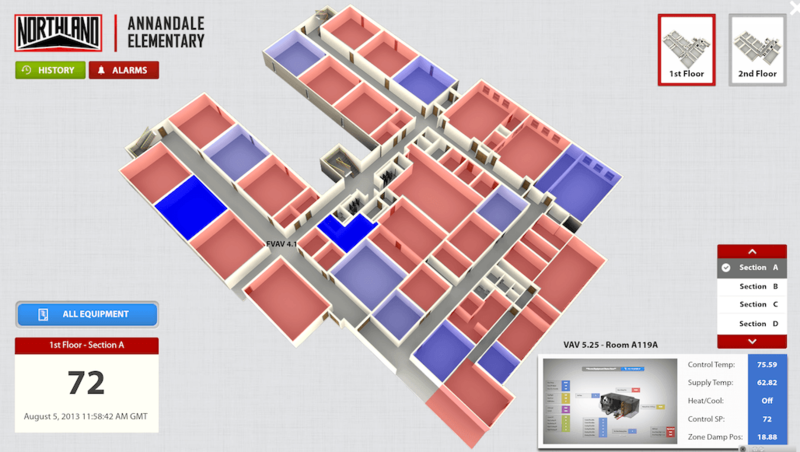 Because your buildings, equipment, and points are now modeled, your implementation costs are much lower. Therefore, you will able to get a much faster ROI on current and future projects. All of our applications are built around a tagging model, which allows you to save time and labor like never before. 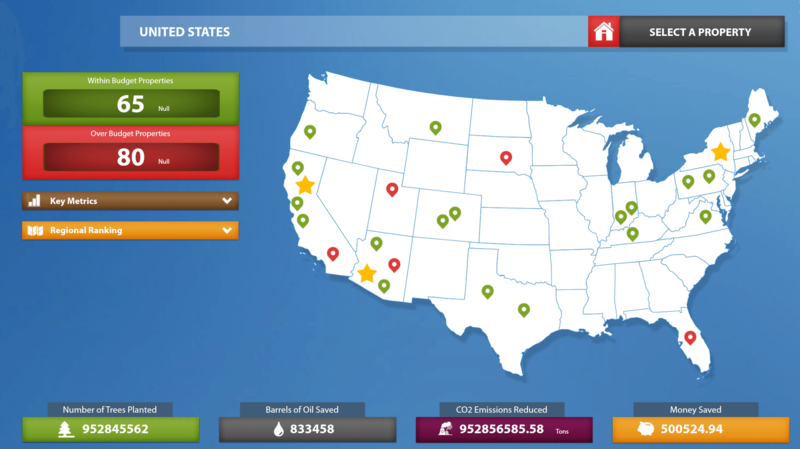 Whether you are making schedule changes, implementing new control strategies, or navigating your facility on a mobile device, operating your facility is easier and faster. 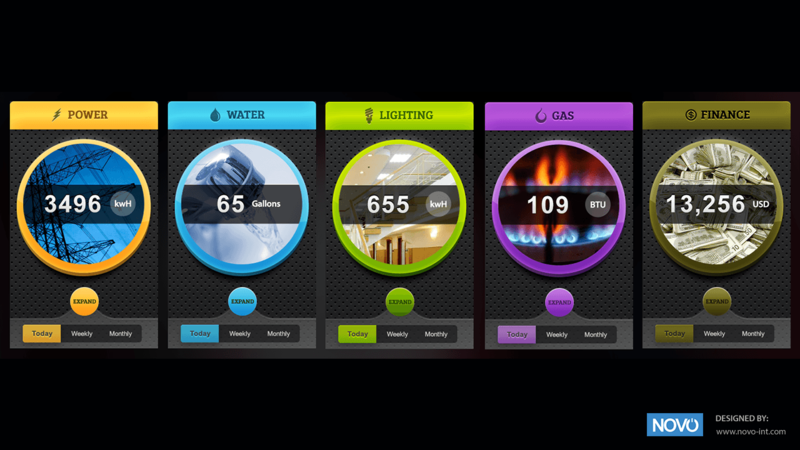 We have built in applications that control your building better than ever. If you have 1 building or 1000s of buildings, you now can make Enterprise changes to your portfolio in a fraction of the time. 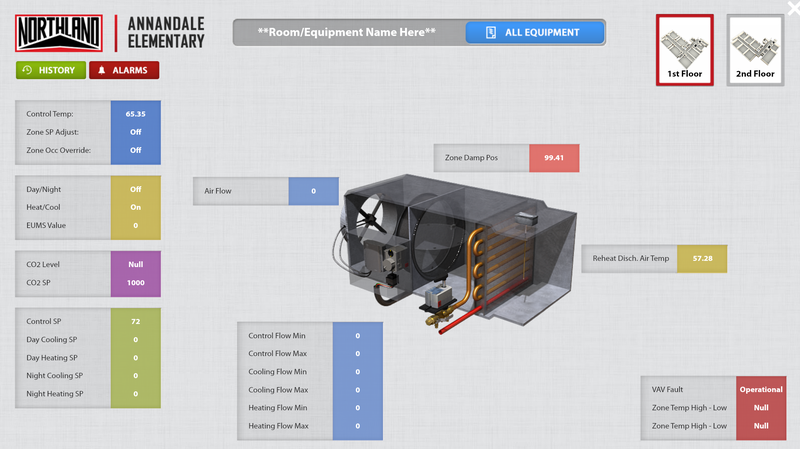 This allows you to create new strategies for energy savings with an extremely quick ROI. Provide each of your stake holders a unique User Experience, including optimized mobile phone and tablet experiences. If you want dashboards with FIN 4.5 it's never been easier.